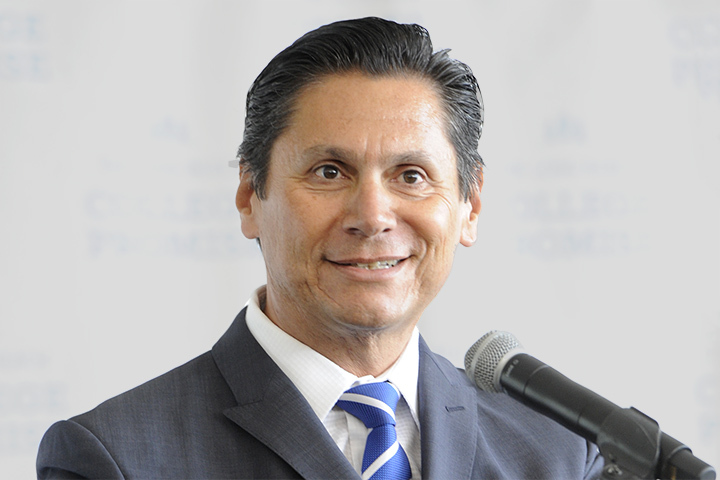 Long Beach City College President Eloy Ortiz Oakley was honored at the White House recently by the Obama Administration at the “Champions of Change for College Opportunity” event. He was recognized for his leadership on The Long Beach College Promise and his efforts to establish a California College Promise. Eight years ago, the Long Beach Unified School District, LBCC and California State University, Long Beach committed to The Long Beach College Promise, extending the promise of a college education to every LBUSD student. The City of Long Beach signed onto a renewed and expanded version of The Promise in October 2014. The Promise aims to fulfill the potential of all youth by providing continuous support along every step of the student experience, from pre-K through college and onto career and life. The effort’s significant gains in college readiness and enrollment have attracted the attention of policy makers at the state and national levels. Among the 11 honorees at the White House event, Oakley was the only recipient from the western United States. Oakley also will take on the role of chancellor of the California Community College system in December and aims to collaborate with California Community Colleges and the public K-12 system to diversify the pool of students applying to the University of California system. CHAMPION OF CHANGE – Long Beach City College President Eloy Ortiz Oakley earned a Champion of Change for College Opportunity Award from the White House for his work with the Long Beach Unified School District and others on The Long Beach College Promise initiative, which helps more students to prepare for, and succeed in, college. Here, Oakley speaks at the annual community celebration of The Promise held recently in Long Beach.